SAN FRANCISCO — Avenue, an app that connects buyers and sellers with free advice from an agent in real time, took the crown at real estate giant Realogy’s third annual “FWD” startup pitch competition today. 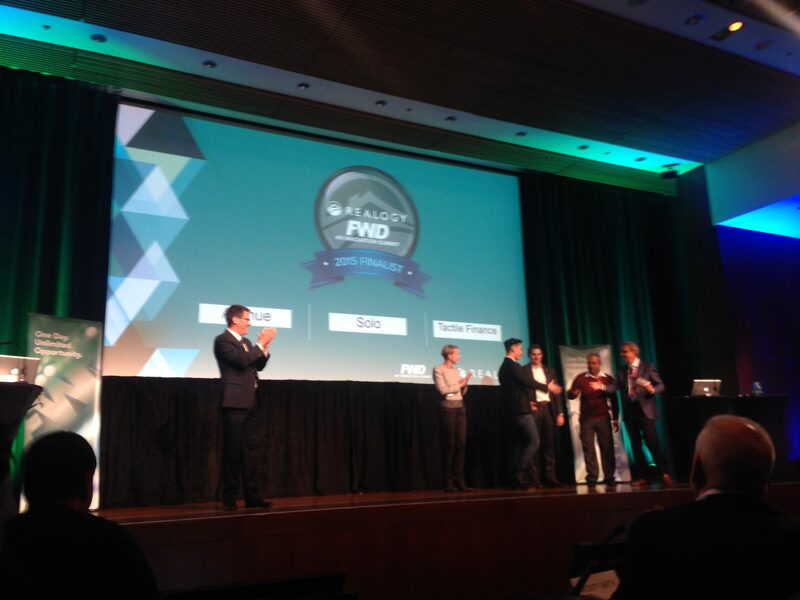 Avenue took the crown at Realogy’s “FWD” startup pitch competition. The Toronto-based firm beat out 14 other participants who pitched their wares to a panel of eight FWD judges and a crowd of approximately 150 attendees. Along with the top honor, Avenue pockets a grand prize of $25,000. The judges picked three finalists: Avenue; SOLOpro, an online platform that connects homebuyers with buy-side agents offering unbundled services; and Tactile Finance, a platform that provides clarity to consumers around home financing. And FWD’s attendees voted by text message to award Avenue the crown. See Inman’s live-blog of the event here. Realogy FWD 2015’s three finalists hit the stage for the final grand-prize vote. The final tally was close. Avenue nabbed about 40 percent of the approximate 150 votes, while the runners up each snagged roughly 30 percent, according to Realogy spokesman Mark Panus. 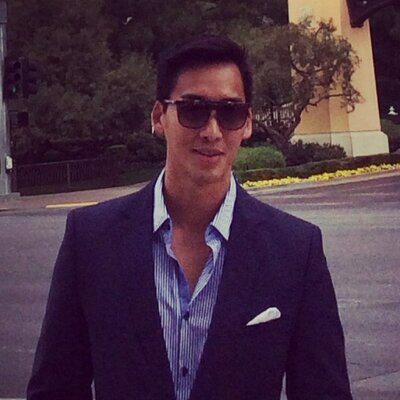 Agents who sign up to use Avenue answer chat requests consumers send through the platform. Consumers are matched up to agents based on location and similarities they have through Facebook, which both agents and consumers must use to sign in to the app. Avenue is a way for consumers to test-drive agents before working with them, to see if they like and trust them, Avenue’s CEO Justin Shum told Inman. Avenue’s set to launch nationally at Inman Connect San Francisco, which runs Aug. 4-7, Shum said. The firm already has nearly 5,000 agents signed up for the platform and anticipates having 10,000 at launch. When agents commit to share the app on social media, they will be able to participate in Avenue at no cost. That’s one way the firm plans to build consumer awareness. Or they can choose to pay a subscription fee of $10 per month. Shum is also founder and CEO of ReadyChat, a live-chatting website service tailored for real estate brokers and agents. The idea for Avenue grew out his work at ReadyChat, he said. A good bulk of the 5,000 agents already signed up for Avenue are also ReadyChat clients. Realogy designed the FWD Innovation Summit to give a stable of hand-picked early-stage real estate startups an opportunity to pitch their wares to the franchise and brokerage giant. The firm represents over 170,000 U.S. agents as owner of the nation’s largest brokerage, NRT LLC, and the large real estate brands Coldwell Banker Real Estate, Century 21 Real Estate and Better Homes and Gardens Real Estate. Although there was just one winner and two runners-up, all startup participants got a big opportunity to introduce themselves to Realogy execs and s0me of the firm’s franchisees. Asana Tamaras, vice president and director of marketing and information technology at Marin County, California-based Decker Bullock Sotheby’s International Realty, represented one. She came to learn about some of real estate’s new technologies, she told Inman. Last year, 3-D virtual tour firm Matterport wowed the six Realogy judges to win the grand prize. FWD exemplifies the real estate establishment’s relatively new focus on fostering technology. The National Association of Realtors, the sole sponsor of this year’s FWD event, announced its third annual real estate tech accelerator class, REach, in April. Residential brokerages play big roles in the two other notable real estate tech incubators. Madison, Wisconsin-based Century 21 Affiliated runs the year-old Elmspring accelerator, and New York City-based Warburg Realty is a founding corporate partner of MetaProp NYC, which hit the scene earlier this month. Editor’s note: This story has been updated with vote tallies for the grand prize vote.